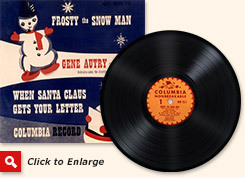 Gene Autry is an ASCAP songwriter and performer. Through the years we’ve shared ASCAP press releases that feature Gene’s songs or recordings. For 2015, ASCAP presented the year’s 10 most-performed new, original ASCAP holiday Songs plus the top 20 ASCAP Holiday Song Classics of the year. 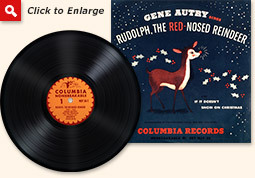 Gene is not on the first list but the second list features songs that he was the first to record and popularize. We've noted those songs with a star. 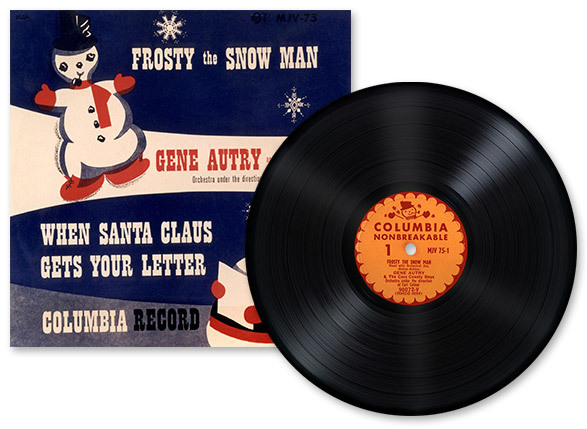 Gene has of course performed and recorded many of these classic holiday songs and you can listen to them on our special Gene Autry Official YouTube Channel Christmas Songs Playlist here. New York, NY, Dec. 14, 2015 – The winter holidays are "The Most Wonderful Time of the Year" for Americans, and the trove of beloved ASCAP holiday songs have traditionally been the soundtrack of the season. Of course, traditions need a little sprucing up every now and then to stay relevant to our times. 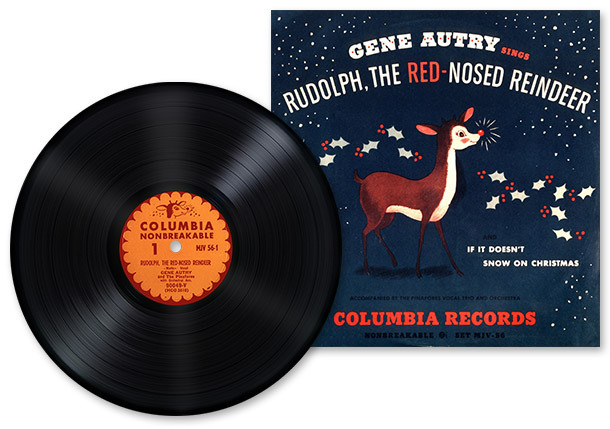 As we unbox the 2015 holiday season, ASCAP songwriters are shaking the snow from the trees with a new crop of original songs, warming up the radio charts alongside the classics of yesteryear. Here are this year's 10 most-performed new, original ASCAP holiday songs, across terrestrial and satellite radio. All were first released in 2013 and 2014. Like a snowflake, every one is different – but they're all on their way to becoming future holiday classics. Don't be surprised if you end up humming a few of these on your next holiday shopping trip or family get-together. There's no denying the great ASCAP seasonal songs of the past, which continue to dominate terrestrial and satellite radio playlists no matter what the year. Here's a list of the Top 20 most-performed evergreen holiday recordings in 2015 so far, including the newest entry in the list, "All I Want for Christmas Is You," co-written by ASCAP writer-producer Walter Afanasieff with Mariah Carey. 2. "It's Beginning to Look a Lot Like Christmas"
3. "Santa Claus Is Coming to Town"
5. "Let It Snow! Let It Snow! Let It Snow!" 8. "Rockin' Around the Christmas Tree"
9. "Do You Hear What I Hear"
13. "All I Want for Christmas Is You"
16. "Have Yourself a Merry Little Christmas"
17. "Have a Holly Jolly Christmas"
18. "Carol of the Bells"
19. "Home for the Holidays"
The American Society of Composers, Authors and Publishers (ASCAP) is a professional membership organization of songwriters, composers and music publishers of every kind of music. ASCAP's mission is to license and promote the music of its members and foreign affiliates, obtain fair compensation for the public performance of their works and to distribute the royalties that it collects based upon those performances. ASCAP members write the world's best-loved music and ASCAP has pioneered the efficient licensing of that music to hundreds of thousands of enterprises who use it to add value to their business - from bars, restaurants and retail, to radio, TV and cable, to Internet, mobile services and more. The ASCAP license offers an efficient solution for businesses to legally perform ASCAP music while respecting the right of songwriters and composers to be paid fairly. With 555,000 members representing more than 10 million copyrighted works, ASCAP is the worldwide leader in performance royalties, service and advocacy for songwriters and composers, and the only American performing rights organization (PRO) owned and governed by its writer and publisher members. www.ascap.com.